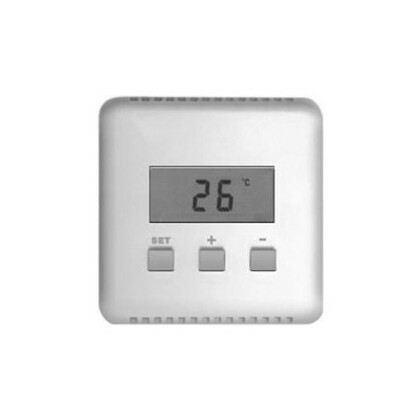 X-10 Wireless Thermostat Set - RTS10 from Marmitek. 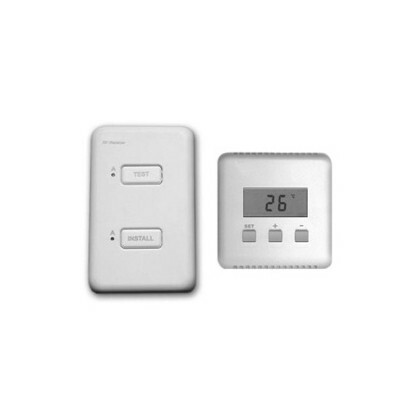 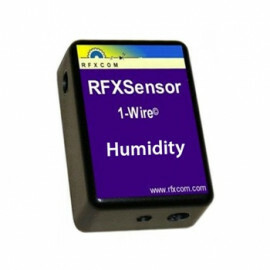 The RF DigiMax 210 thermostat does not need any extra wiring and works within 30 meters range of the base unit (SC9000, SC28 HomeProtectro+). 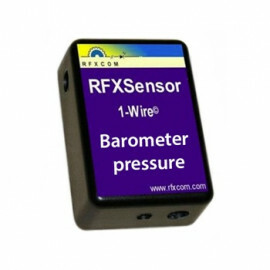 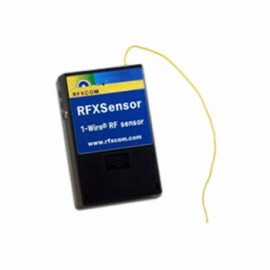 It is equiped with a secured RF code which the base unit will learn during the installation process. 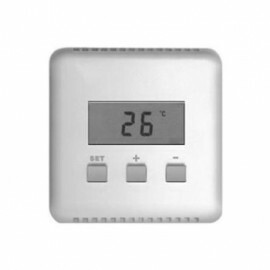 This code will assure that your heating will only be controlled by your DigiMax 210.The wireless thermostat can be used with it's corresponding receiver for switching the central heating, or it can be added as a sensor to the SC9000 (TotalGuard, SafeGuard), SC28 HomeProtecttor+ system controllers. 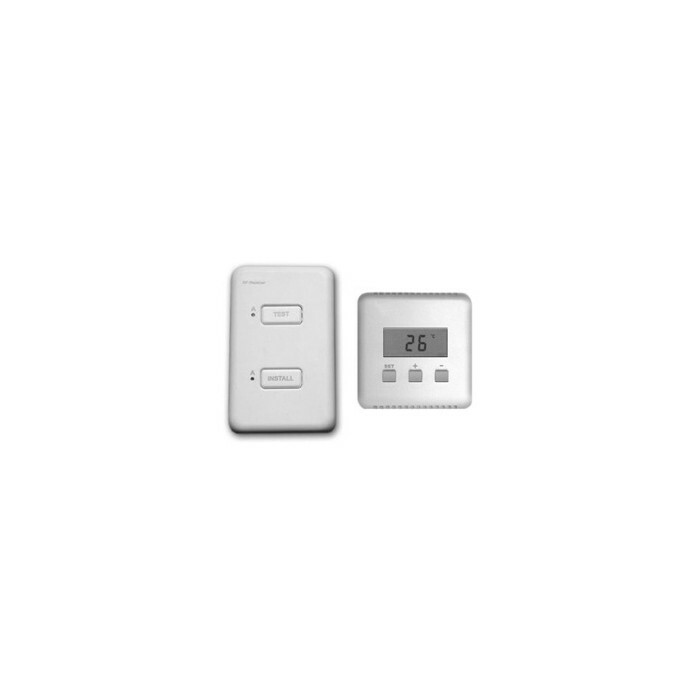 When combined with a controller, the DigiMax 210 is the perfect solution for temperature control in a holiday property via the telephone.